$81.99 This may be in stock for quick delivery; please call! 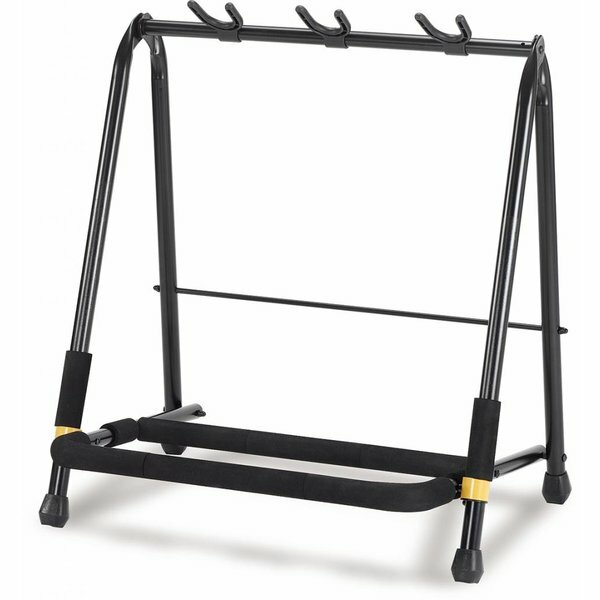 The Hercules GS523B Multi-guitar stand/rack accommodates three guitars easily and attractively. 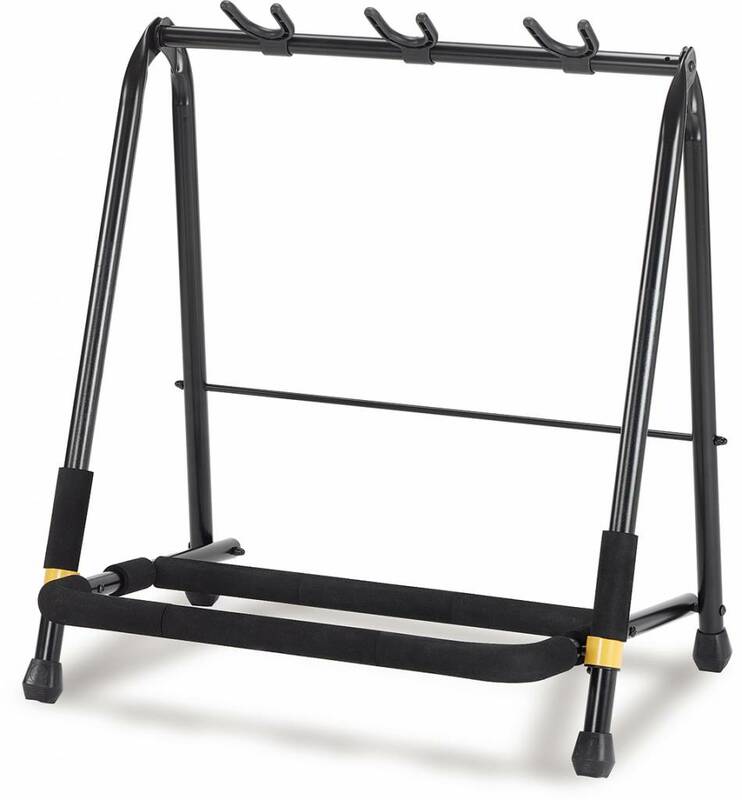 Perfect for stage, studio, or home this stand will allow you to display your guitars and basses securely, with easy access when needed.